Redefining Sobriety – It is more than “just another program.” It is a movement. You know you need to make a change. You are at your wit's end. You’re a smart, capable woman and you’re doing well. …or at least you can make it look that way. Truthfully, though, you know that alcohol is a problem for you. And it’s a source of shame for you. You may know where the AA meetings are in your town, but something has stopped you from going to them. I know the reason you are not in those AA rooms. It’s your intuition. It is telling you that you don’t have to commit to a specific path or a specific program if it doesn’t feel right for you. You are not a label. It’s easy to feel in a kind of a limbo when you know that traditional paths don’t feel right but you don’t know what you are supposed to be doing instead. I’m here to tell you there is an alternative. You can have control over your drinking and your life – even if you don’t feel like you have that right now. You can change – without having to conform. Underneath whatever is happening for you in your life right now, you can feel your power. You know it’s there. Yes, I know you’re frustrated. I know you are sick of struggling. 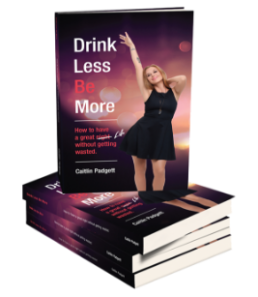 I know you have had enough of allowing your relationship with alcohol to cut you off from living your fullest life and from reaching your potential. You may have tried before and failed. You may feel like nothing has worked. You may even feel in a hopeless place. Well, you haven’t met me yet! I am a certified coach for women who struggle with alcohol, the creator of Redefining Sobriety and a bestselling author. For the past 4 years I have helped thousands of women redefine their relationship with alcohol and change their lives . . . women just like you, who were frustrated, tired and afraid – believing that nothing could work for them – and I’ve seen them completely transform their lives. They have.I have.You can too. 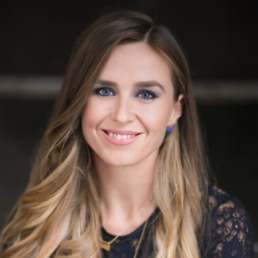 "What I love about the Redefining Sobriety program is that I am empowered to choose how I define my relationship with alcohol, knowing that the definition of the relationship may also change over time. The ability to make choices on a situation-by-situation basis has made me feel like I'm finally getting my control back. I have enjoyed totally alcohol-free periods, but have also learned that I do have the ability to moderate my alcohol use." "You have helped me tremendously in seeing that the old school AA wasn't the only answer. I enjoy reading about the tools to use when people ask why I am not drinking when they're use to the 'old me.'" I have tried to make changes in terms of my relationship with alcohol over the years but nothing has ever "stuck" until I joined the Redefining Sobriety Immersion program. I don't think I ever had the appropriate tools or support during my past attempts and I feel much better equipped to make and maintain changes now. Working with Caitlin 1:1 but also having the support of a group of like-minded, understanding, & non-judgmental individuals in the Redefining Sobriety group has helped immensely. I was not fully aware of just how much I needed that level of support prior to having it! I also feel as though I am building lasting friendships through this program which is a nice bonus.